Villanova Pennsylvania Bioidentical Hormone Doctor, Anthony J. Bazzan, M.D., has extensive experience helping patients increase their overall quality of life and reduce their symptoms of aging with Bioidentical Hormone Replacement Therapy. Dr. Bazzan believes in treating people, not diseases, and uses customized Bioidentical Hormones to restore men and women to optimal health and wellness in the Main Line Philadelphia Pennsylvania area. Find out more about Pennsylvania bioidentical doctor Anthony Bazzan, M.D. Schedule a consultation for bioidentical hormone replacement therapy. Call Villanova Pennsylvania Bioidentical Hormone Doctor Anthony Bazzan, M.D., at 800-775-4902 Ext. 254 to schedule a BHRT consultation. Villanova Pennsylvania Bioidentical Hormone Doctor, Anthony Bazzan, M.D. with Marcus Institute of Integrative Health at Jefferson uses advanced anti-aging protocols, such as bioidentical hormone replacement therapy to increase vitality and improve the overall quality of life. Anthony Bazzan, M.D. endeavors to listen to patient’s needs and concerns, while really taking the time to evaluate lifestyle factors, social habits, stress levels, environmental factors, and hormonal balance in Montgomery County, Pennsylvania. After taking all of a patient’s history and current health factors into consideration, Anthony Bazzan, M.D. will develop a customized treatment plan to suit the individual. At the Jeffersonville, PA-based clinic, patients can feel confident that they will receive comprehensive care in a warm and caring environment, and Anthony Bazzan, M.D. will use only the most effective treatment protocols to help patients recover their health and wellness. Pennsylvania Bioidentical Hormone Doctor, Anthony Bazzan, M.D. uses bioidentical hormone replacement therapy to prevent the effects of aging and age-related diseases, while improving overall health and wellness. Bioidentical hormone replacement therapy has changed the way that men and women age, and it is an evidence-based regenerative and preventative medicine. Because hormones control and regulate several bodily functions, a loss of vital hormones can lead to several age-related diseases, which may include hypertension, diabetes, high triglycerides, heart disease, sexual dysfunction, thyroid imbalances, uterine fibroids, prostate enlargement, and endometriosis. Regulating vital hormones can help men and women to prevent these diseases and reverse other age-related symptoms that often accompany male and female hormone decline. Bioidentical hormone replacement therapy has been able to help men and women regenerate youthfulness and recover their vitality. We believe in treating people, not diseases. We believe in looking beyond the diagnosis to uncover the unique biology of each person. We believe that different people will respond differently to various therapies. We believe in exploring all angles until favorable results are achieved in an individual. We believe in the sanctity of the patient-physician relationship. We help patients who do not have enough hormones. They have run out or are low enough in their levels to have adverse health effects. Patients with hormonal imbalance problems and normal levels usually do not need hormone therapy—they need to clean up their diets (it is known that the chemical structure of human estrogens can change based on a person’s diet), exercise, stop bad habits, improve their hormone detoxification systems such as their liver and the CYP 450 super family of enzymes, and possibly take hormone modulators like phytonutrients, essential fatty acids, and some vitamins. Patients with hormone levels low enough to cause symptoms and problems such as those related to osteoporosis and/or its prevention, and who desire to be treated, are considered for natural Hormone Replacement Therapy. People should not have too little hormones, and they should not have too much hormones. They should have enough to do the work to keep them healthy. We determine if there is a need for Bioidentical Hormone Replacement Therapy, and then develop a customized strategy. We also look to administer the smallest doses that achieve the goals. 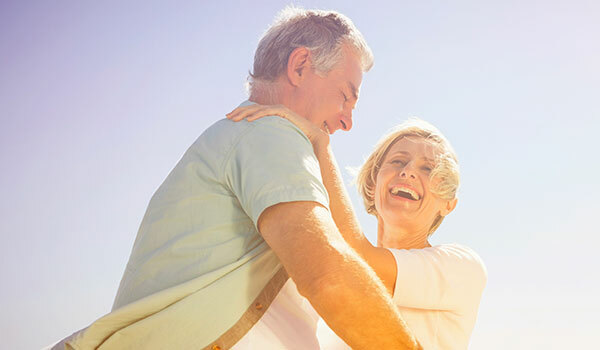 The effective use of Bioidentical Hormone Replacement Therapy for the relief of symptoms caused by age-related hormone imbalances found in women and men, can optimize and balance hormones essential to good health and a feeling of well-being. By providing hormones that are an exact biochemical match of your own hormones, it is possible to restore your hormones back to the balance you had in your 20’s and 30’s. Our mission is to relieve human suffering and help human beings realize their best overall potential by providing superior health maintenance and enhancement, disease prevention as well as treatment of illness using a comprehensive, integrative structure rooted in both alternative and mainstream medicine. Our office hours at Marcus Institute of Integrative Health at Jefferson are Monday through Thursday, 7:30am to 5pm. Please call Villanova Pennsylvania Bioidentical Hormone Doctor Anthony J. Bazzan, M.D. with Marcus Institute of Integrative Health at 800-775-4902 Ext. 254 to schedule your initial appointment to discuss your symptoms and learn more about the Bioidentical Hormone Replacement Therapy. © 2009-2019 Pennsylvania Bioidentical Hormone Doctor. All Rights Reserved.